A resurfacing softener of 98.7% pure anti-aging Japanese superfoods that makes all skincare work better. Size: 25 ml | 0.8 fl. oz. A daily 7-second ritual to reveal your softest, most youthful skin. This resurfacing softener of 98.7% pure anti-aging Japanese superfoods makes all skincare work better. Anti-aging: Pure, 98.7% Hadasei-3™, a concentrate of nourishing Green Tea, Rice and Algae, Japan's three essential nutrients for skin health and youthful radiance. Smoothing & Resurfacing: The natural fermentation of these nutrients produces lactic acid, helping to increase cell turnover for improved skin texture and a smooth luster. Plumping Hydration: Instantly doubles skin's natural moisture content, above and beyond the results from a moisturizer, softening & plumping fine lines & wrinkles. Maximizes Performance of All Skincare: Skin's channels are flush with lasting hydration, creating a pathway to deliver treatments that follow more deeply, amplifying their effectiveness. Use daily, after cleansing and before any other skincare. Splash a palmful of The Essence into your hand, and press gently into the skin on your face and neck. The Essence is rated 4.7 out of 5 by 72. Rated 5 out of 5 by Wynter from My Skin Drinks This Up I've only recently started using an Essence. I read about the K-Beauty 7-layer method where you apply many layers of toners and Essences together. I do an abbreviated version where I apply 3 layers of The Essence and it makes my skin feel so good and nourished. The texture is perfect for this because it is so fluid that my skin just drinks it up. It floods my skin with so much hydration that it's practically glowing. I also noticed that doing this means I use a lot less serum and face cream, but my skin feels just as moisturized, if not more. I'm amazed at what a difference The Essence has made in my skin. Rated 5 out of 5 by Sangi from Game-changer Adding the Essence to my skin care routine was a game-changer. It immediately plumps the skin, absorbs fast, makes me look more rested, and my skin takes on immediate clarity. I also believe that it has improved the effectiveness of the brightening serum I use. I cannot do without this product - every day, twice a day - and yet the full-size bottle lasts me almost a year. In time-rushed situations, or for travel, this is my security blanket. 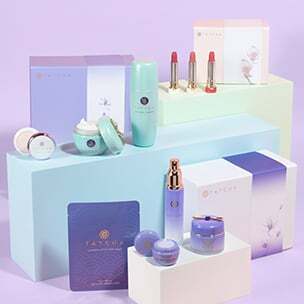 I only wish I did not have to keep buying the travel sizes - Tatcha, please come up with a re-fillable system so we can also try and have less environmental impact from packaging! Rated 5 out of 5 by Anonymous from Works Wonders! The Essence is wonderful. I'm 28, and have been suffering from sebaceous psoriasis for years- and have recently developed dry red flaky patches on my face. I've been using The Essence every night before bed, and I feel as though it has been helping my dry spots become much less flaky and irritated. Honestly incredible, as I haven't been able to help my psoriasis with anything but topical steroids before. I am so happy to have found The Essence! I'll be telling my friends, this product works wonders for people with drying skin conditions...Thank you for making such a great product! Rated 5 out of 5 by Olivia S. from Transformative It's hard for me to explain why this is so amazing. When I first applied it, it was just a thin, watery consistency. I didn't immediately feel it sinking in or soothing or tingling. I applied my usual ageless renewal cream on top of it and went to bed. When I woke up—oh man! I stuck with it twice a day for a few weeks and everything got better. My acne scars faded, my skin stopped getting dry halfway through the day, I even passed that time of the month without a single breakout. I don't know what's in this magical elixir but I'll be getting several more bottles, thank you very much! Rated 4 out of 5 by PrettyFaceGirl3 from Great essence I've been using SKII for over a year and that was my first introduction to essences but after discovering the tatcha brand I figured I would try their essence as well. I absolutely LOVE. Does not make me break out and quickly absorbs into my skin. I took off 1 star only because I think the packaging and method for applying is a little bit awkward. When I pour into my hands I always feel like product gets wasted as it slips between my fingers. I would prefer a spray bottle instead. I actually take this out and pour into a glass spray bottle which makes me feel I get more use and less waste. Rated 5 out of 5 by Jillian from A must have in your skin routine! 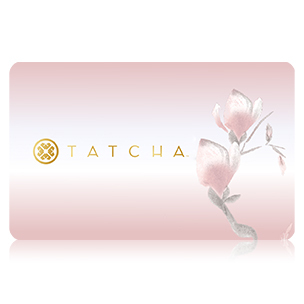 I recently purchased the Tatcha skin plumping softener Essence and this product is a game changer! Its amazing how one little 7 second step can enhance and change your skin for the better so quickly. I apply this after my camellia cleansing oil and classic rice enzyme powder. This is full of skin loving anti aging and hydrating ingredients that truly do plump and soften the skin. Not only that, it also enhances whatever treatments are applied on top of it to better penetrate deeper into the layers of skin. Applying both day and night you will notice the difference. It's worth every penny! Rated 5 out of 5 by Marina from Wonderful surprise! 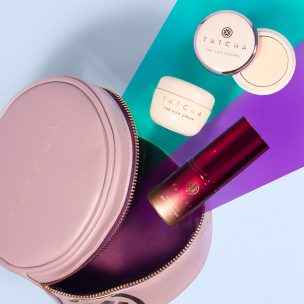 I use - and love - a LOT of Tatcha products; my whole routine is Tatcha, in fact. Nevertheless, the immediate benefits of this Essence still came as a surprise. Wow! I use so much less of every serum, my skin is soft and plump any time of the day or night, and it seems to have provided that final piece of moisture balance my skin was looking for. Most of the time I pour about 1/4 teaspoon in my palm and use two fingers to dip and press it into my face, and that makes a little go a long way. 10/10 will buy again - this is my favorite Tatcha product to date! I wondered if I could use this on my lips as well? It feels so wonderful on my skin, and I'd love it to bring its soothing benefits to my lips too, but I wasn't sure if it should only be used on other areas of the skin. Thank you for your question! The Essence has not been tested for use on the eyes or lips, so we recommend using it on the rest of the face, neck, and decollete only. We hope this helps! Does this product work for people with oily skin? Yes. This oil-free, light-as-water formula of essential nutrients works for all skin types. What step in my skin care ritual is The Essence? After cleansing and polishing the skin, and before any other serum, moisturizer or skincare treatment. How long does a travel size bottle last? Thank you for your question! All travel size items are designed to last about two weeks when used as directed. We hope this helps! Do I apply the Essence to wet or dry skin? The Essence is applied on clean dry skin before layering any serums or moisturizers of your choice. I have noticed some slight itching and red bumps after the use of The Essence. Is this normal? Do I need to give my skin time to adjust? I have used TATCHA cleaning and treatment products for quite a while. I&rsquo;m currently debating buying the Essence but have been useing the Pure One Step Camellia Cleansing Oil for just over two months now, my question is which is more beneficial and does one work better with normal - oily skin? Thank you for your question! Both of these treasures are for all skin types including Normal to Oily. Benefits of each are not really comparable since they have different purposes. 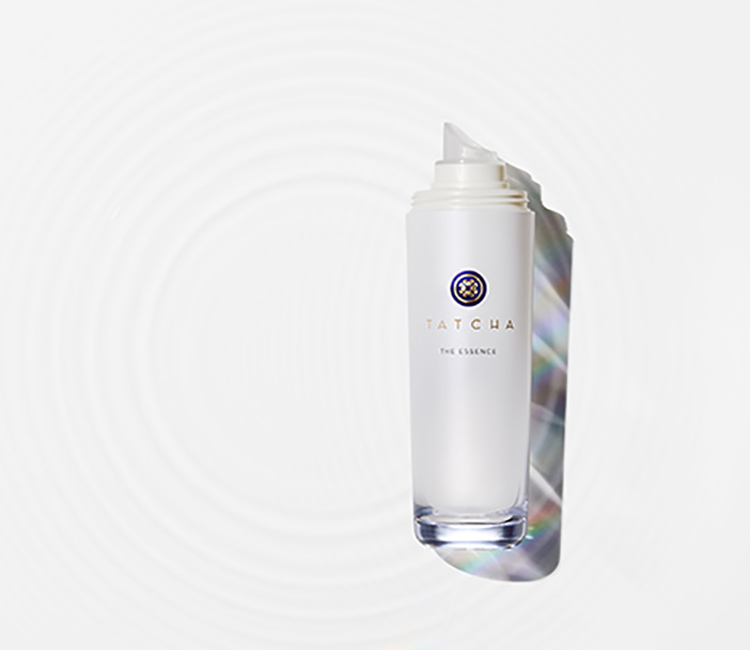 The One Step Camellia Cleansing Oil should always be used to purify skin, melting away all makeup, sunscreen, dirt, and pollution from the day. After patting skin dry, we recommend taking a palmful of the Essence and pressing it into skin flooding it with nourishing hydration to open water channels deep within. This will help boost the effectiveness of all treatments and moisturizers to follow. We hope this helps! I normally use a toner to clear off any remaining impurities after cleansing my face. Can I use the essence after the toner? I feel that the essence alone won&rsquo;t work it&rsquo;s best without a toner to wipe off remaining impurities. Thank you for your question! You may use a toner after cleansing and before The Essence if you wish. Since the Essence already has a naturally occurring lactic acid to resurface skin, we recommend staying away from toners with similar exfoliating ingredients, or types that are high in alcohol. This will keep you from over-exfoliating or drying out your skin. We hope this helps!